Damien Social Welfare Centre was started for giving solace to the persons affected with leprosy and their dependents in 1964. Stigma was not only attached to the persons affected with leprosy, but also to their offsprings It was difficult for them to get education along with the students from general population. A strong need was felt to educate children from leprosy background without which an all round growth and development was next to impossible. On 1st November 1968 Nirmala School was started with 38 girl children from the leprosy colonies, because it was necessary to keep the children of leprosy patient away from their parents so as to protect them from getting affected with leprosy, as in those days proper medicine for leprosy was not available. Children were also brought to the hostel to provide at least three meals a day, as in those days leprosy patients were surviving by begging and they were not having proper and enough meals, many a times. Children were also kept in the hostel in view of protecting them from sexual abuse and child marriage. Eventually children were sent to St. Anthony’s School, Dhanbad for education. On 25th March 1972 regular classes were started. Bigger girls were sent to St. Anthony’s School, Dhanbad for high school. 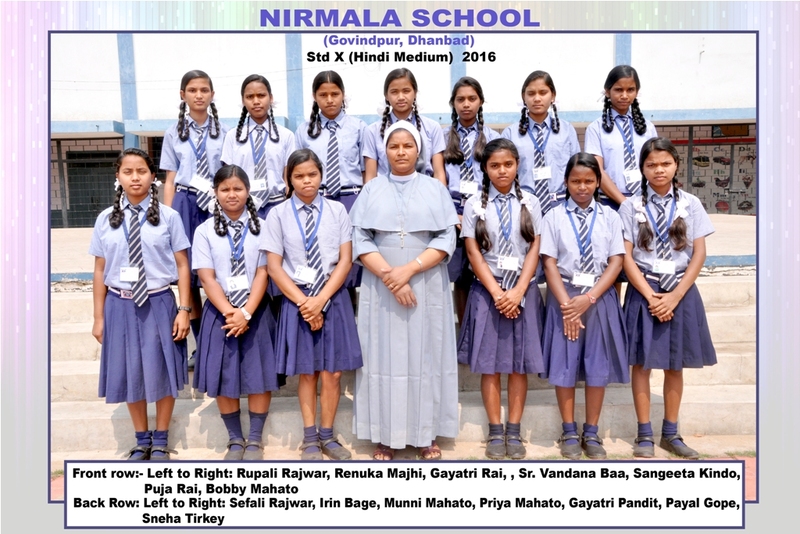 By 1992 high school students of Nirmala School were sent to De Britto School, Gomoh, then the other unit of DSWC for High schooling. It went on till 2012. Then onwards children are not sent to De Britto School, Gomoh anymore and they are appearing for their 10th exams through Jharkhand Board from a Government School. All these years it was Hindi Medium. When 2008 came Fr. Walter Crasta, then Director of DSWC realized that it is beneficial for the children coming from the leprosy background to learn English and so he started converting Hindi Medium to English Medium. Then onwards slowly Hindi Medium School is being closed down from lower section onwards and every year one class is added in the English Medium. Under the inclusive education school was opened for the children from the other deprived section of the society in 2010. 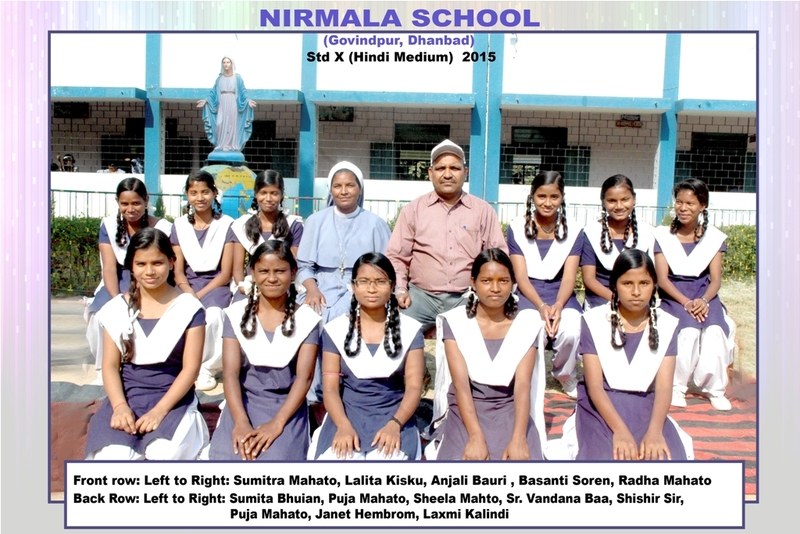 At present there are 598 (+ 270 Hindi medium) students in Nirmala School. It is upto class 7 and we are going into class 8 this year. In the hostel there are 252 children. Most of them are from leprosy background. They are either from railway platform or from leprosy colonies. Their parents either go for begging or go for rag picking. Some of them are also going for daily wages. If children have good education, they will be out of their wretched condition. Earlier education at Nirmala School was free for all the children, in 2009 nominal fees was introduced. Many of the children had to withdraw from their schooling, as parents (leprosy patients), were not able to pay even Rs 50 in those days. Constant meeting with them and some concession again motivated them to bring back their children to Nirmala School. At present Rs 375 is the fees in the school and Rs 500 for the hostel, but all the children from leprosy colony pay less than Rs 300 for Hostel and School. Few of them pay only Rs 50 for the same. Few pay Rs 150 and many of them pay Rs 300 for the Hostel and school. However, day-scholars pay Rs 375 as school fees. In the school children learn Karate, Basketball, dance, School Band, music and participate in scout and guide besides text books learning.